Sports psychology experts often talk about the importance of learning mental toughness to improve your performance. However, my 20 years of teaching the sport psychology to students makes me think that understanding mental toughness skills is the easy part. To be successful with mental toughness training, you must learn how to apply it to competition. As a matter of fact, I just completed a survey with 28 high school wrestlers. 50% of the wrestlers said that applying sports psychology strategies to competitions was hard to do. I can teach athletes to improve concentration and focus all day long. You can understand the information and concepts by hearing it or reading about it. However, until you actually are able to put the focusing skills into practice and competition, you can’t make any progress and REALLY learn mental toughness. 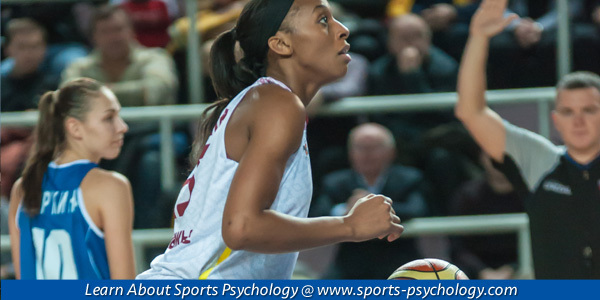 If you’re serious about getting the most from sport psychology education, then you must be sure to apply consistently the mental skills you understand on a conceptual level. This is the biggest challenge in my work – helping athlete apply the concepts. Take confidence, for example. 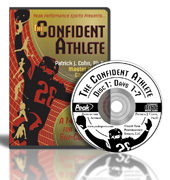 I teach athletes and coaches strategies to enhancing confidence – such as how to fight doubt – and how to put it into action. But, did you know that until an athletes actually implements them, practices them, and add them into their routines that you won’t see improvement? The biggest challenge I have as a mental coach is to get athletes to commit to working on mental toughness – daily – over weeks, months, and even years. It’s easy to pick up a book on mental training and then forget about the strategies you learned one week later. The key is to find a system to apply your new mental toughness strategies to practice and competition on a daily basis. This is similar to the skill of visualization and seeing what you want to happen. When an athlete visualizes her performance, she can see it in her mind, but can she truly believe it and feel it? Visualization can be just wishful thinking on the part of the athletes. If you don’t believe in the images you create in your mind and have complete control over those mental images, then it just will not be effective. For example, one of my students said she stopped visualizing her golf shots because she saw bad shots in her mind. The best athletes truly feel, sense, and believe in what they see in their minds AND have total control over the images when they use visualization. When you can join your mental pictures with true confidence, then you have power to change your performance by just using your mind.